For more information about CloudGuard SaaS, contact us! Cloud services optimize business operations but are breached daily. 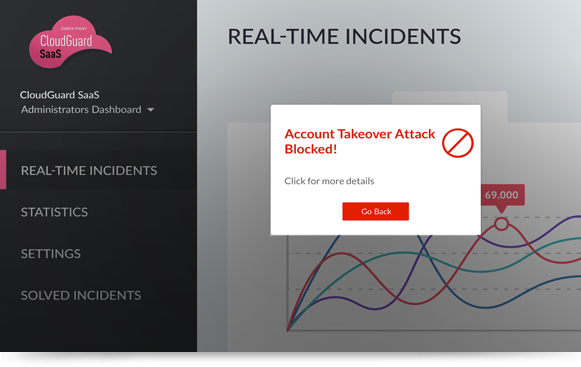 Check Point's CloudGuard SaaS is the only security solution that prevents attacks on SaaS applications. Eliminate the biggest threat to SaaS applications usage. CloudGuard SaaS uses a unique ID-GuardTM technology to identify illegitimate user access and prevent unauthorized users from accessing your SaaS app, on mobile devices and PCs. CloudGuard SaaS enables consistent policies between mobile, PCs and even gateways, and a unified security monitoring across the board. 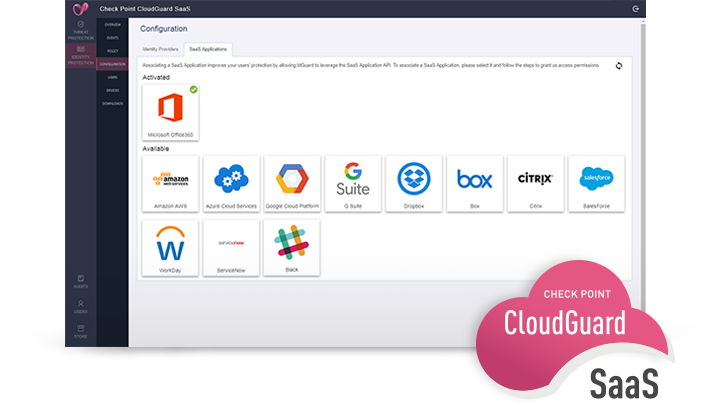 Powered by Check Point Infinity architecture, CloudGuard SaaS provides Gen V threat protection for SaaS applications, wherever they're accessed from, through a single pane of glass. 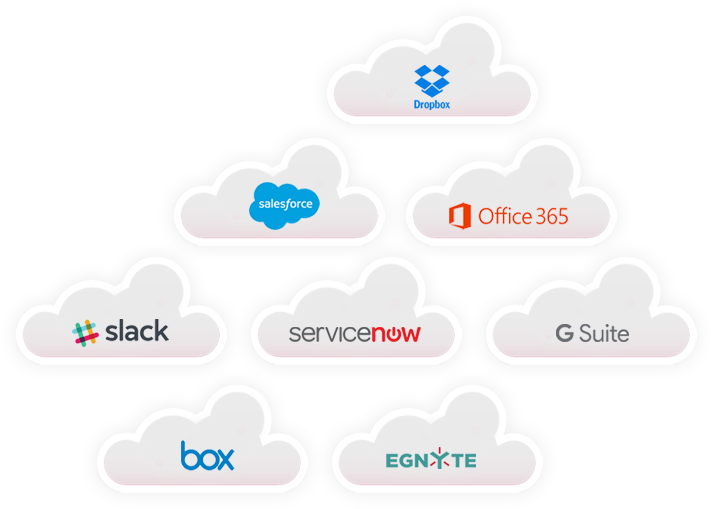 CloudGuard SaaS allows you to protect a multitude of enterprise used SaaS applications within minutes. Are you using other apps you would like to protect? Tell us which ones.